Along with announcing the new 2nd generation V-NAND based 950 Pro SSD, Samsung also detailed some of their plans for the rollout of drives based on their recently announced 48-layer 3rd generation V-NAND. The NAND, now in mass production, will begin showing up in drives in 2016. Among the first uses of 256Gbit 3rd gen V-NAND will be to expand the capacity of Samsung’s current product lineups. The 850 lineup, which Samsung will continue to produce as their leading 2.5” SATA SSD, recently received a boost from 1TB to 2TB. Come next year, Samsung will be transitioning the 850 Pro lineup from 2nd gen to 3rd gen V-NAND, and in the process releasing a 4TB 850 Pro. 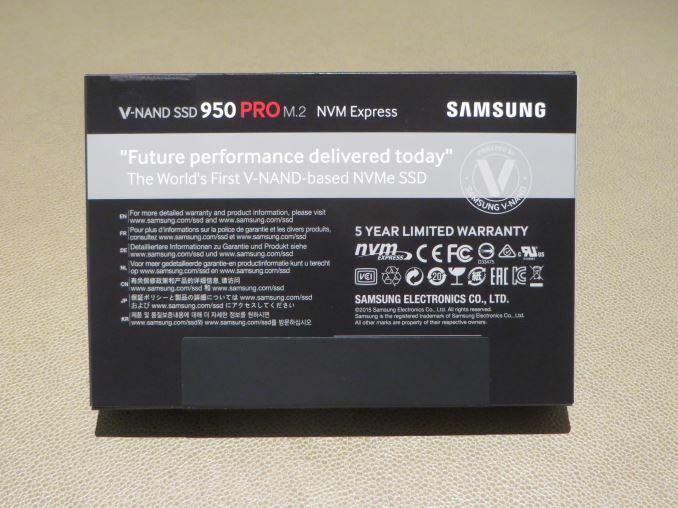 The release of a 4TB drive based around the new V-NAND was expected, but the fact that it’s under the 850 Pro lineup is a bit of a surprise. Citing the potential for consumer confusion and fragmentation, Samsung would prefer to release these drives under their existing and very popular 850 brand then to set out on a new brand for what’s ultimately going to be a dead end in consumer SSD technology. The switch to denser NAND is going to have a performance impact – such a thing is unavoidable – but it remains to be seen what that impact will be, especially given the limits of the SATA interface. To balance this out, Samsung says they will be providing more information on the drives themselves, which may be their new V-NAND branding program (more on that in a second). Meanwhile the M.2 850 EVO, which currently tops out at 512GB, will be getting its own upgrade to 1TB via 3rd generation TLC V-NAND. Samsung has not announced any other EVO drives getting 3rd gen V-NAND at this time, though at this point it seems like a matter of when, not if. Speaking of M.2, the newly announced 950 Pro will also get a capacity bump in 2016. 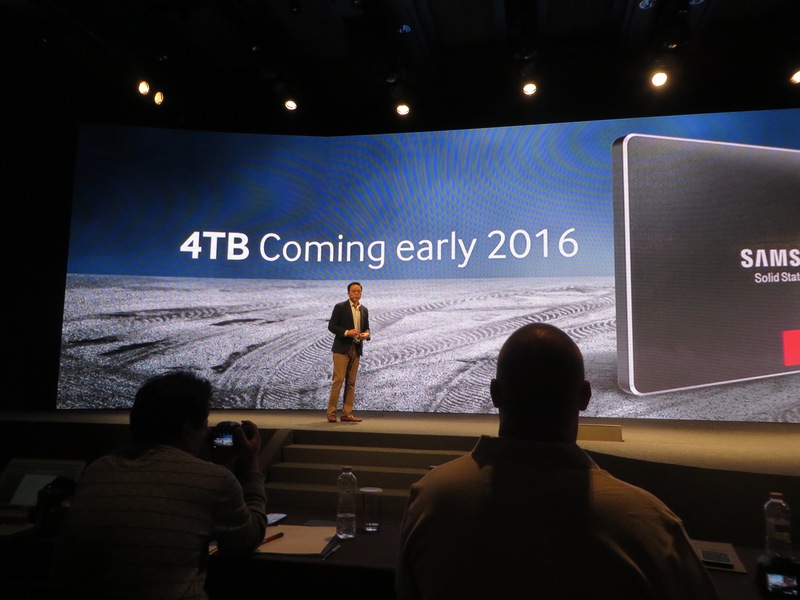 A 1TB model will be released next year, utilizing the 256Gbit V-NAND MLC to double the capacity of the drive. Samsung has also reiterated their development plans for enterprise V-NAND drives, though as usual they are being a bit less precise in discussing their plans. The PM1725, Samsung’s PCIe card SSD, will be utilizing 3rd gen V-NAND, combining 8 lanes to offer what is expected to be 1 million read IOPS. 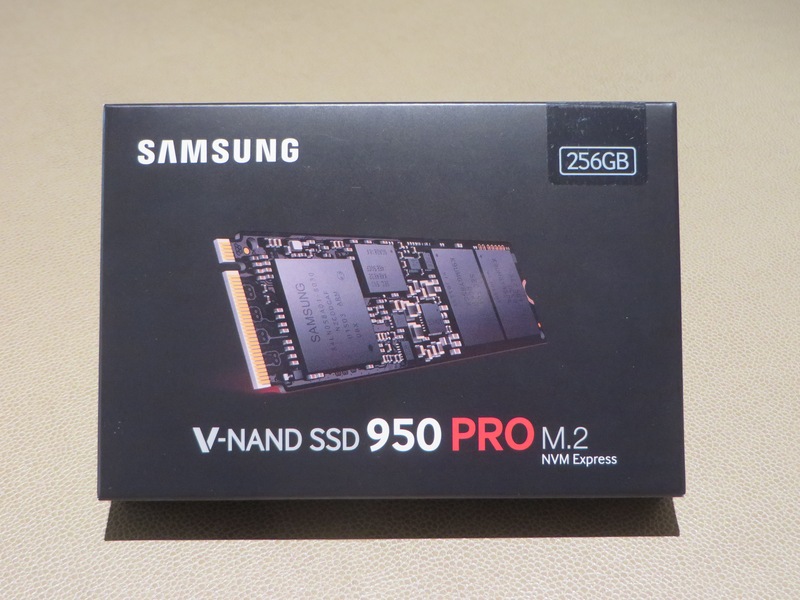 As for Samsung’s existing Enterprise drives, the 863 datacenter drive family will also be getting the 3rd gen V-NAND upgrade. Though Samsung has not announced any specific capacities, we’d expect both of these drives to be doubled, increasing the PM863 to 7.68TB and the SM863 to 3.84TB. Finally, as part of the launch of the 3rd generation V-NAND, Samsung will also start to use V-NAND visibly in their product branding. Consumer and enterprise retail drives will have a V-NAND logo, indicating what drives pack the technology and Samsung believe will help their drives stand apart from the competition. For Samsung this is also a reflection of the work they’ve put into developing what’s now three generations of 3D NAND, with that effort being made more obvious to buyers. I've been tracking the 500 GB model and it came down a lot in price in H1 of this year. Since mid-summer it has kind of plateaued. The BX100 can be gotten for 140 dollars equivalent here in Sweden(counting VAT, exchange rate noise etc). The 850 EVO is at 170 or so. Honestly i was looking into the NVME solutions for a new skylake build im planning, and if im being realistic with myself, its just not worth the extra cost. If i were a professional doing disk intensive stuff like video editing, or whatever, it would be worth it. But, i'm primarily a gamer, and that would amount to basically an unnoticeable difference for my usage. I'm actually not even sure an m.2 pcix is worth it over a sata drive.